Pardon what I know is an embarrassing question - I am at the very basics of learning music theory. Twenty of Joseph Haydn's 104 symphonies are in C Major, making it his second most often used key, second only to D major. Does that simply mean he steals parts of it using C Major, or he literally plays multiple instruments or octaves with the exact same melody? What are some tangible examples of two songs playing C Major and sounding different? I feel like there is something very basic I am missing on the use of scales. That "very basic" is was missing is that scales don't have to be in the given particular sequence, which is obvious now that I look at it and opens up my understanding to them. I've read over 10 articles and tutorials on scales before posting this, and surprisingly, they all start out saying "this is a scale" but never why and what they do for you, which was very frustrating. I am all alone in learning all of this so don't have someone I can just ask these questions as they come up. It's a little disparaging that SO is the only place I know I can get reliable answers, in, however I can't ask a question I honestly don't know without downvotes. There are many more things that we can play with as composers, but this is a nice short list. As you can see what the key tells you is much, much less than what it doesn't tell you. There are classical, jazz, pop, rock, blues, country, ... songs written in the key of C. Do they all sound the same and steal part from each other? No because being in the key of C only tells you a little bit about the song. Even if you are just using the tones from one scale, there is no limitation in which order the tones in the scale are used. Even if a piece is in C major, often other tones are brought in, further opening up the possibilities. If you keep the rhythm the same, limit your composition to four tones, keep within one octave and the tones in the C major scale, you still have 7^4 = 2401 melodies. When these strict limitations are lifted, which they are in most music, there's a vast number of possibilities to explore. Because you don't have to use all the notes, nor in the same order. Suppose you have a very very simple song. Twinkle Twinkle. How many notes does it have? The verse is like twelve bars, lets say each with a quarter note, which is 48 notes. Lets call it 50. In a new song of that size in C major each note could be one of the seven notes in C.
That means there are 7x7x7 ... times seven 47 more times combinations of notes. 7 to the power of 50. A lot. How can one draw different paintings when the human eye can distinguish just three primary colors? How can one do a unique etching when using only black and white? How can one write original poetry when there are just 26 letters in the alphabet? Frankly, I have a bit of a problem understanding your problem under the premise that you actually have ever listened to music. 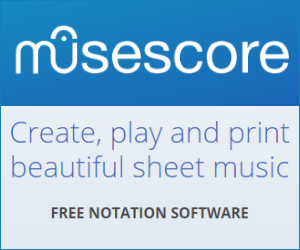 Do you think that the notes of a scale may only be used in order? Or what is it that makes you think that a given harmonic framework determines a piece to a degree where it cannot fundamentally differ from others? Not the answer you're looking for? Browse other questions tagged theory scales composition key or ask your own question. Can simple compositions be “good”?